A private beach with cool turquoise waters, brilliant views of the Presidential Palace, restaurants overlooking the Arabian Gulf sea – are just a few ways to describe the Khalidiya Palace Rayhaan by Rotana. 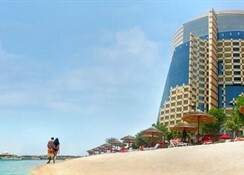 This luxurious 5-star family-friendly hotel on the beachfront of Abu Dhabi offers guests the best feel of the famous Middle Eastern hospitality and Arabian Culture in an environment that is relaxing. The private beach is just 200 meters away. All the rooms here offer panoramic sea, pool or city views. 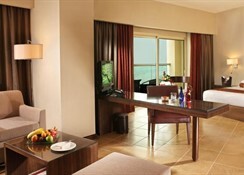 Situated within close proximity of attractions like the Open Beach, Abu Dhabi International Marine Sports Club, Khalidiyah Mall, Qasr al-Hosn and Al-Hosn Palace, it offers a host of recreation and relaxation options to guests, such as two floodlit tennis courts, steam room, a large outdoor pool and plunge pool to have a fun-filled city break in Abu Dhabi. 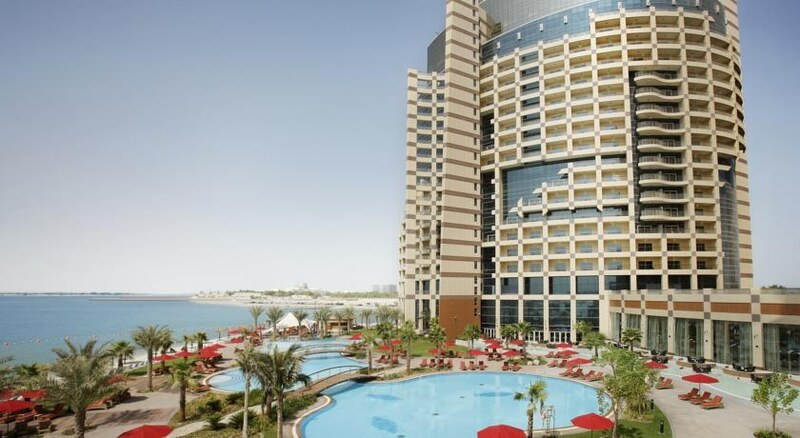 Situated on the beach in Abu Dhabi, the Khalidiya Palace Rayhaan by Rotana Hotel is located close to Abu Dhabi International Marine Sports Club, Open Beach, Qasr al-Hosn, Al-Hosn Palace and Khalidiyah Mall. The Abu Dhabi International Exhibition Centre is 10km away. Abu Dhabi International Airport is at a distance of 33km. 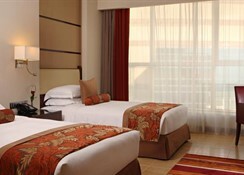 Khalidiya Palace Rayhaan by Rotana offers 443 guestrooms and suites with a modern décor and balconies offering lovely sea, city or pool views. 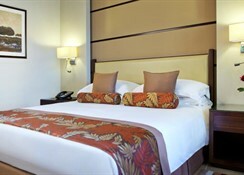 The rooms are furnished with cable TV, high-speed Wi-Fi, telephones, work-desks and large en-suite bathrooms. Some rooms may have a kitchenette. Guests at the Khalidiya Palace Rayhaan by Rotana can choose from four spectacular restaurants, each offering a different cuisine, to satisfy their taste buds. Horizon Restaurant serves all major meals in buffet style, Kamoon, facing the pool, offers Arabian cuisine, and The Beach Restaurant is an outdoor terrace specializing in regional flavours and mocktails. There are two other bars serving light bites and non-alcoholic beverages. 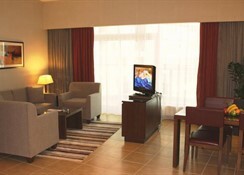 The hotel has a private beach and a large swimming pool, plus a children’s club and pool. Guests can take advantage of a well-equipped gym with professional instructors. There are several courts for various sports, including two floodlit for tennis. The spa offers an invigorating massages including couples’ and aromatherapy to soothe your body and mind.